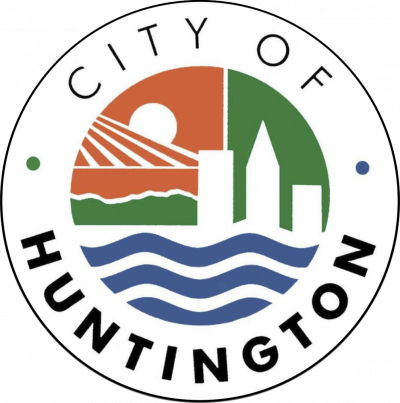 Huntington City Council and the Huntington Municipal Development Authority (HMDA) meet Monday and both have continuing steps in announced development projects up for consideration. Mayor Steve Williams at last week's work session announced the submission of the Huntington Innovation Project (HIP) as part of the America's Best Communities competition. Three sub-categories combine for the HIP. They include: the Brownfield Revitalization / PolyTEch (Polymer Technology Center); Health Innovation Corridor; and West End River to Rail Revitalization. HMDA at its annual meeting Monday, Nov. 23 at 4 p.m. will discuss a section of the Brownfields proposal which includes acquisition of the 24 acre Ingrim Barge property on which the Polymer Technology Center would be built. At prior meetings, HMDA had asked its executive director, Tom Bell, to clarify property flood plain designations. The Monday annual meeting includes discussion of the brownfields grant , the Tif 2 project at Kinetic Park, and negotiations for sale of the parking lot at Fourth Avenue and Eighth Street to Capital Ventures. An executive session is scheduled as a last item on HMDA's agenda. Officers and October 2015 financial statements will be presented at the meeting in council chambers at 4 p.m. The 7:30 p.m. Huntington City Council meeting contains the first reading of a settlement of a law suit that has languished for more than 20 years regarding a 1990s Westmorland barge facility. Council members, particularly the late Jim Ritter, and residents fought implementation of the agreement which would have potentially subjected resident there to air pollution from coal barge cleaning. During the work session Huntington attorney , Steve Nord, explained how a win-win had been achieved through bringing parties together for conversation. Architectural designs are in progress with the first construction beginning in the Spring of 2016. Specific details of the public - private partnership will be released as design proceeds. Attorney Nord emphasized the long term nature of the plan acknowledges that council may not obligate funds beyond a specific fiscal year and anticipates that the Army Corps. of Engineers renews a lease with the city for the HRFP. Severe consequences await the city if they do not act favorably --- the prior Huntington Marine suits would go to the jury for a judgement amount estimated to be an eight million dollar liability against Huntington. "The city would have to levy new taxes," Nord said at the work session in order to pay the judgment.